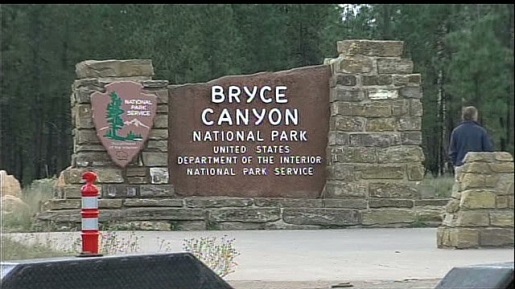 Bryce Canyon and several other national parks in Utah will reopen. When it comes to natural beauty, Utah is one of the top places in the United States. Unfortunately, like all national parks, Utah’s national parks are closed up tight thanks to the government shut down. Employees aren’t getting paid, and as such, enjoying the beauty of nature is right out. That’s bad news for the government workers, and worse news for Utah, because the month of October is Utah’s biggest tourist season, and Utah’s national parks are its biggest tourist attraction. Facing a loss of up to $100 million dollars due to the closure of its parks, Utah has come up with a very creative solution to the problem of closed-down tourist attractions. The State of Utah will pay to reopen its national parks, giving the National Park Service up to $1.67 million dollars to open eight national park sites in the state for the next ten days. Utah also has the option of continuing to pay for the parks to keep them open should the government shutdown continue. Here’s the full list of parks getting reopened by Utah: Arches, Bryce Canyon, Canyonlands, Capitol Reef, and Zion national parks; Natural Bridges and Cedar Breaks national monuments; and Glen Canyon National Recreation Area. The National Parks Service is waiting for a transfer of funds from Utah, and once that check clears, they will tell site-specific employees to get back to work, unchain the gates, and let the unwashed masses bask in the beauty of nature once again. Utah anticipates that its listed parks will all be open by this time on Saturday, so plan accordingly.